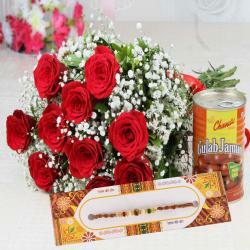 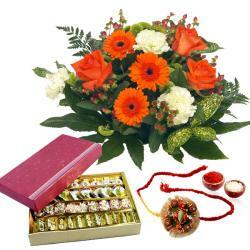 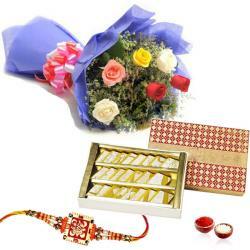 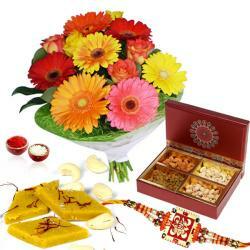 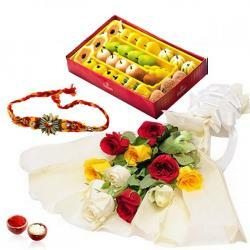 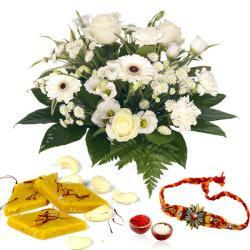 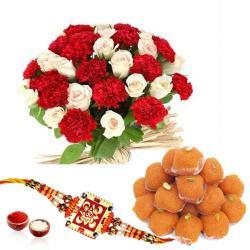 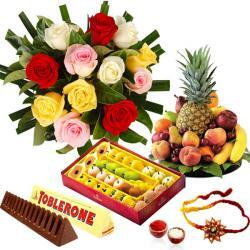 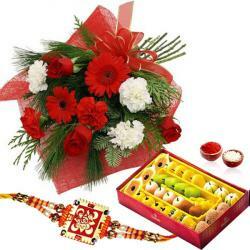 Rakhi with Sweets are always one of the most traditional gifts for a brother on Raksha Bandhan. 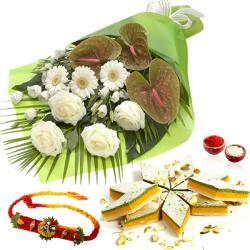 Loving brother or yours if holds some kind of fascination for traditional Indian sweets then you are definitely at right place to explore Rakhi with Sweets online. 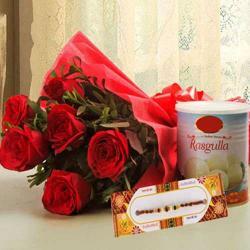 Shop online from Giftacrossindia.com for a wide range of designer Rakhis with delicious sweets and mithais like gulab jamuns, soan papdi, diamond shaped pure kaju katli, rosogollas, karachi halwa and many more. 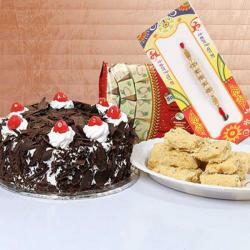 Sweets are the symbol of happiness. 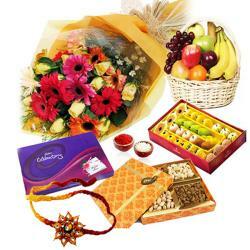 We share our joy, love and care by offering sweets to our family, friends, neighbours and to everyone around us. 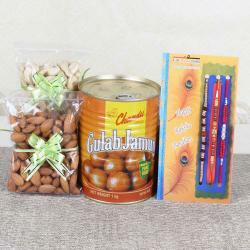 This way of shedding gladness makes one feel glee to the core. 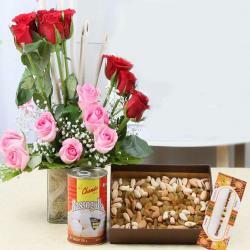 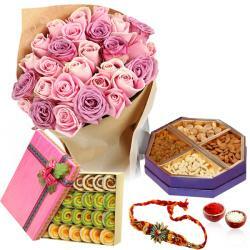 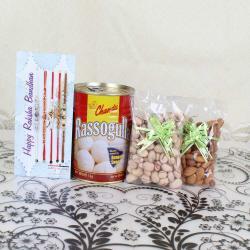 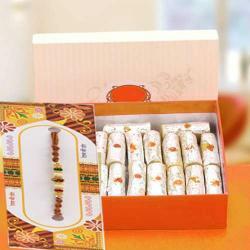 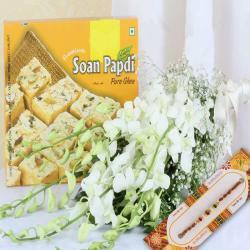 Rakhi is incomplete without sweets and rakhi sweets are the best gift you can send to your brother along with rakhi. 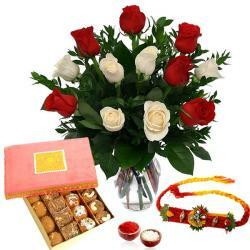 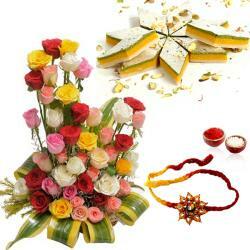 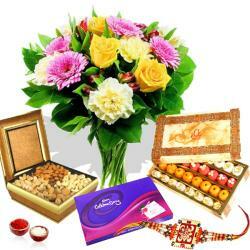 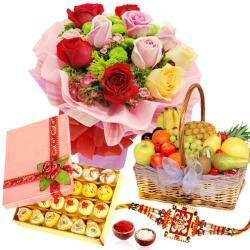 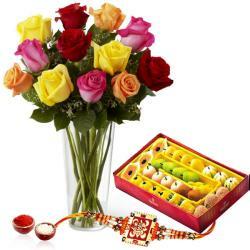 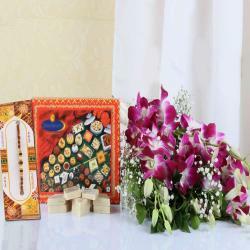 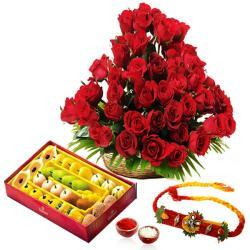 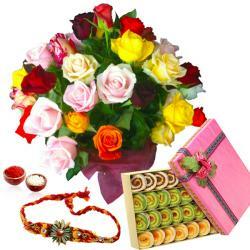 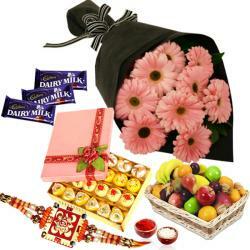 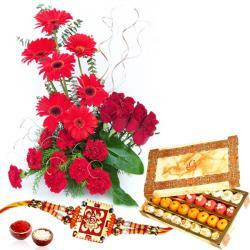 So celebrate this festive of RakshaBandhan by shopping online on Giftarossindia.com . 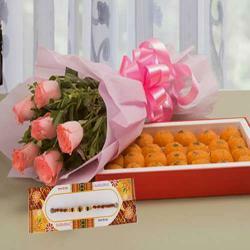 Rakhi reminds us that how much a sister love her brother. 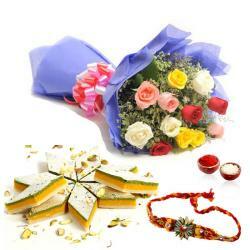 So add happiness to this rakhi with sweets. 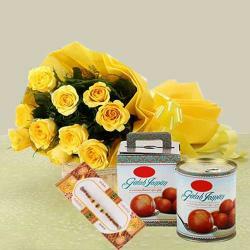 We people always like to shop with one or two things together. 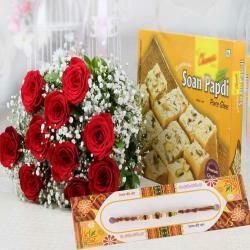 Thus, here is an offer to buy and send your darling brother the best rakhi and his favourite sweet at his doorstep on this rakshabandhan. 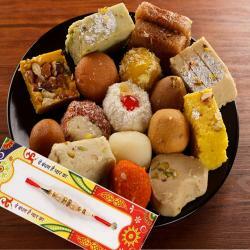 We have a variety of rakhi Sweets like kaju barfi, kaju katli, soan papdi, jamun, rasgulla and mix sweets that are freshly packed and delivered on time. 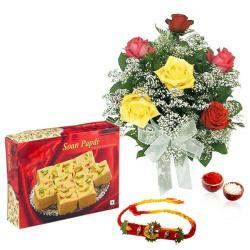 Come let’s enjoy the sweetness with giftacrossindia.com on this sweet festival.